Listed below are some of our instant border collections and plant collections. The 'Instant Border' collections include 6-10 page colour design folders with TWO design plans for each border. Each plant in the border is numbered, and you simply have to plant to the design following the numbered plans. Our specimen Climber Collection consists of SIX 10ft (inc. pot) mixed climbers and will include two Jasmine, one evergreen Honeysuckle, one Virginia Creeper, one Ivy, and one Wisteria. Supplied in 10litre or 12litre size pots in their pots at the 10ft (inc. pot) size, shipped in three (very long!) parcels. A saving of £80.00 if bought individually. Our specimen Jasmine Collection consists of FOUR very tall 9ft-10ft (inc. pot) Jasmines and will include two white Jasmine and two pink Jasmine, all four being deciduous. Supplied in 12litre size pots in their pots at the 9ft-10ft (inc. pot) size, shipped in two (very long!) parcels. A saving of £60.00 if bought individually. 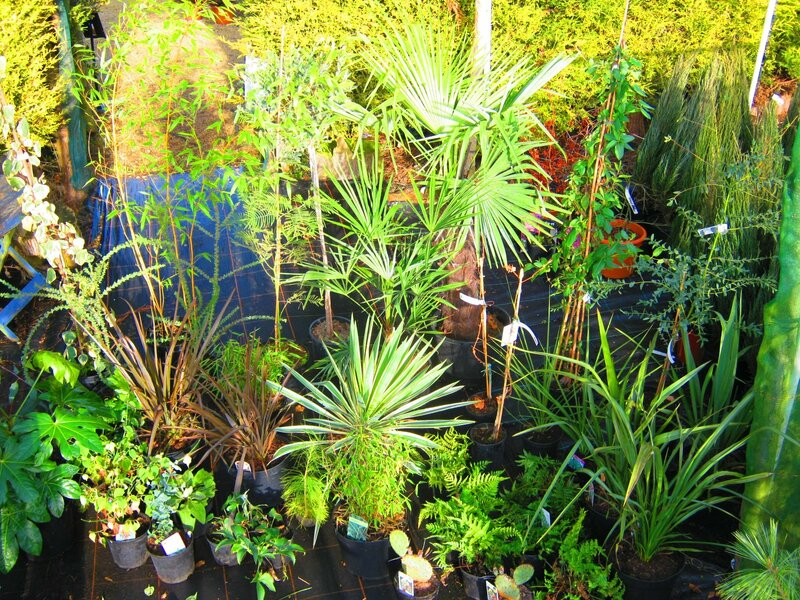 A small collection (7 plants) of some of our Jungle style plants (evergreen and deciduous) that have been chosen for their foliage hardiness and would be ideal in a Jungle style garden or in pots to make an exotic patio. All are very hardy and are supplied in pots. Sizes refer to the actual pants supplied (inc. pot). For larger collections please see our instant borders below. 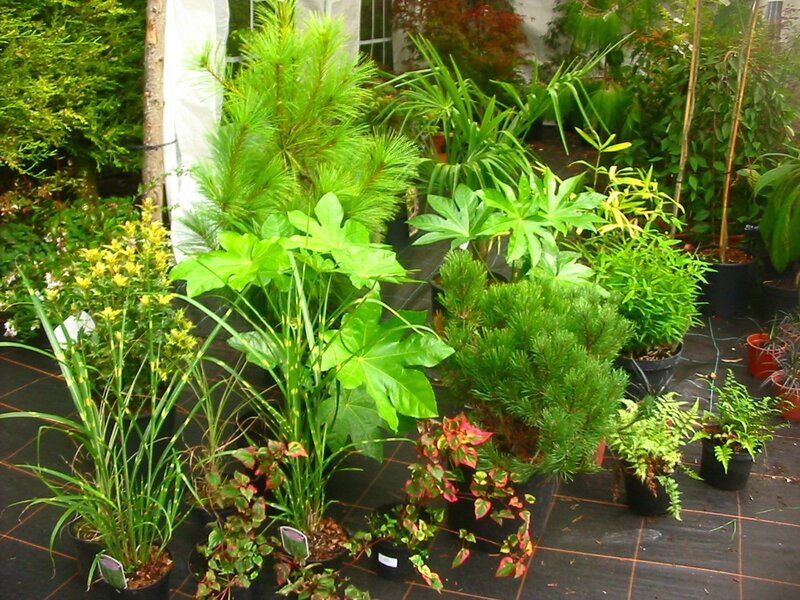 OVER £200 worth of plants if bought individually from us, much more in garden centres! 20 PLANTS suitable for a border 6ft by 4ft. All plants supplied in their pots, delivered to your door. Heights listed are the size of the plant that will be delivered (all sizes include pot). 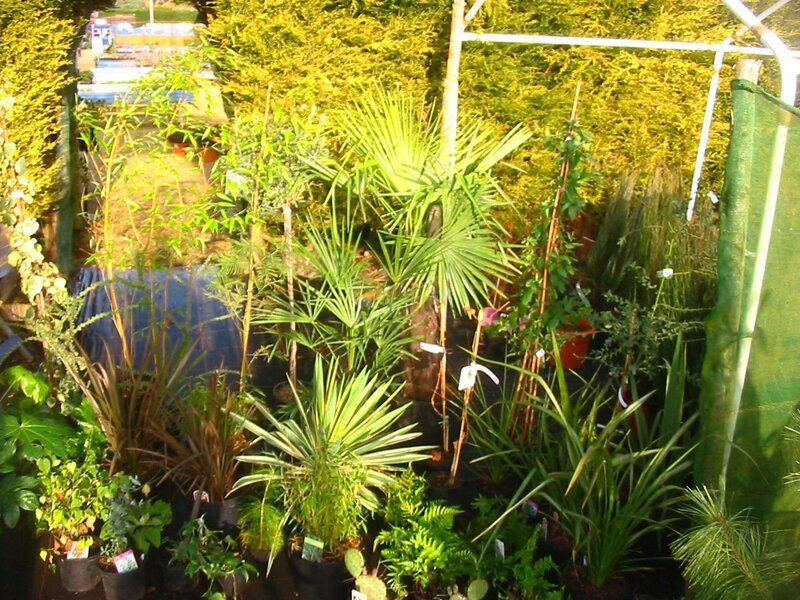 Over £400 worth of plants if bought individually from us, much more in garden centres! 40 PLANTS suitable for a border 14ft by 8ft . All plants supplied in their pots, delivered to your door. 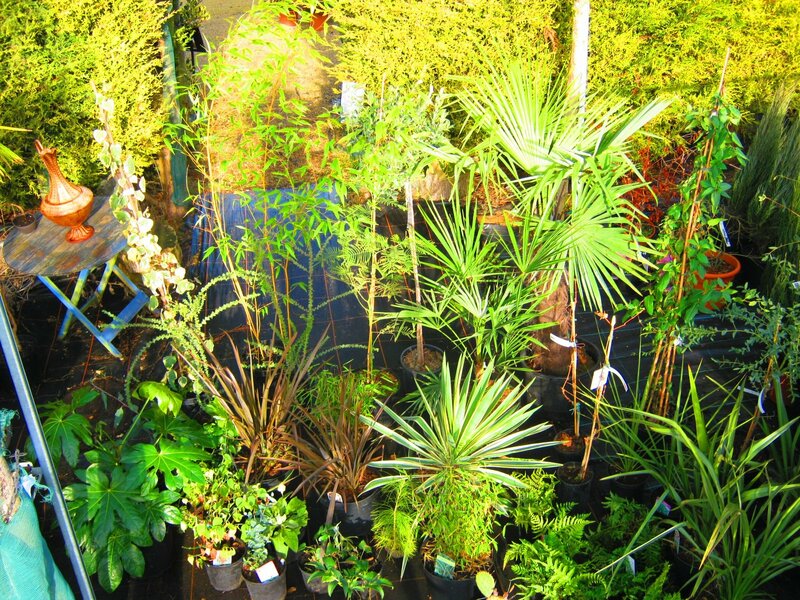 Over £850 worth of plants if bought individually from us. 24 PLANTS suitable for a border 8ft by 4ft . All plants supplied in their pots, delivered to your door. Click on the photos to enlarge - these were taken in January and is how the border looks in winter (some plants our supplied as roots in winter). A border in the cottage garden style with a mix of evergreen and deciduous, trees, shrubs, climbers, and perennials. Over £400 worth of plants if bought individually. 28 PLANTS suitable for a border 8ft by 6ft Some of the plants are ROOTS in winter but will erupt into foliage in early Spring. All plants supplied in their pots, delivered to your door. Photo taken in October - some plants in this border will die back to their roots and be supplied as roots in winter months. Over £350 worth of plants if bought separately. 50 PLANTS , over £600 worth of plants if bought separately from us. 40 PLANTS including two Japanese cherry trees, 5ft-6ft Wisteria. All plants supplied in their pots, delivered to your door. Over £800 worth of plants if bought separately from us, and over £900 if bought in a garden centre. 20 PLANTS for a border 6ft by 4ft. All plants supplied in their pots, delivered to your door. Over £400 worth of plants if bought individually. 19 PLANTS suitable for a border 8ft by 4ft. All plants supplied in their pots, delivered to your door. Photo taken October and is how the collection looks in autumn (click to enlarge). All plants are supplied at approximately the height indicated which includes the pot. Over £400 worth of plants if bought separately. 30 PLANTS including a maple, 6ft bamboo, suitable for a border 8ft by 6ft. All plants supplied in their pots, delivered to your door. 10 large PLANTS suitable for a summer patio display in pots, or for an italian style garden border. All plants supplied in their pots, delivered to your door. Over £300 worth of plants if bought separately. Please note that we try to keep these pages updated as much as possible during the season, but some plants may be replaced by others of a similar size and type if we sell out of a specific plant in a collection.